Cannabis is listed in annex I of the Betäubungsmittelgesetz (narcotics law) of substances that cannot be prescribed and marketed. Substances listed in annex I are cannabis, mescaline, heroine, LSD (Lysergic acid diethylamide), methoxyamphetamine, PCP (phencyclidine), psilocybine, among others. Substances listed in annex I can only be used for "scientific and other purposes of public interest." On the basis of this wording of the narcotics law, some patients have received an exemption for the medical use of cannabis by the BfArM (Federal Institute for Pharmaceuticals and Medical Products), an institution of the Federal Health Ministry. The first exemption was granted in August 2007 to an MS patient. 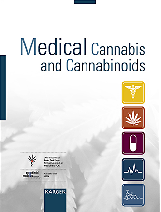 The cannabinoids nabilone and dronabinol are listed in annex III of the Betäubungsmittelgesetz of substances that can be prescribed on a special prescription for narcotics. Since 1983 nabilone, a synthetic derivative of THC, and since 1998 the cannabis compound dronabinol, which is the international non-proprietary name for the natural (-)-trans-delta-9-tetrahydrocannabinol (delta-9-THC), is listed in annex III. Nabilone and dronabinol do not possess drug approval in Germany, so that health insurances are usually not allowed and obligated to pay for a treatment. There are several rulings that have heavily influenced the possibilities to use cannabis or cannabinoids for medicinal purposes in Germany. In December 1999, eight patients had registered complaints before the Federal Constitutional Court and demanded permission for the medical use of otherwise illegal cannabis. The court did not accept the complaints for decision and pointed out in a decision of 20 January 2000 (File number: 2 BvR 2382/99) that the applicants had not exhausted all available legal avenues. They could previously made application to the BfArM (Federal Institute for Pharmaceuticals and Medical Products). The German Narcotics Law allows the use of narcotics listed in annex I only for "scientific and other purposes of public interest". In their statement the judges of the Federal Constitutional Court wrote: "The medical supply of the population serves a public purpose that may justify an approval in individual cases." Following the decision of the Federal Constitutional Court of 20 January 2000, many patients submitted applications for a permission to treat their illness with cannabis, which were defeated by the BfArM (Federal Institute for Pharmaceuticals and Medical Products) on the grounds that the treatment of a single patient did not represent a scientific or other purpose of public interest. A number of patients then sued the BfArM before the Administrative Courts. In a ruling of 19 May 2005 that was made public in November 2005, the Federal Administrative Court indicated that the BfArM cannot globally deny applications for the medical use of cannabis (File number: BVerwG 3 C 17.04). The ruling pertained to the case of an advocate suffering from multiple sclerosis. In its ruling, the Federal Administrative Court wrote: "The medical supply of the population is not a global act referred to a mass of undifferentiated subjects. Rather, it always results from the supply of single individuals that have a need thereof." The Federal Administrative Court emphasised the high value of the right to life and physical integrity based on the constitution (Grundgesetz). "The right to physical integrity cannot only be impaired when governmental organs themselves create an assault, or when their actions cause pain. The protective boundary of the constitution rather is also reached if the government takes actions that inhibit that illnesses are cured or alleviated, and if physical suffering is continued and adhered without affliction as a result." Physicians are not currently allowed to prescribe cannabis. However, that would "not prevent them from looking after and following a patient medicinally, who on the basis of a permission according to § 3 of the Narcotics Law uses such means him- or herself in the course of a pain therapy." 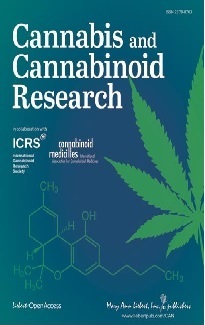 With regard to the argument, patients could be prescribed dronabinol (THC) by a physician even if this drug is expensive and is not always paid by health insurance, the Federal Administrative Court wrote: "The reference to a medical drug that is neither readily available nor affordable by normal citizens is no alternative to achieve the public interest in the use of cannabis to combat illness." A ruling of the Higher Regional Court of Karlsruhe of 24 June 2004 represents the highest court decision concerning the illegal use of cannabis for medicinal purposes (File number: 3 Ss 187/03). The ruling pertained to the case of a multiple sclerosis sufferer, who was accused of illegal possession of cannabis and acquitted by two lower courts. Since the prosecutor did not appeal the ruling of the Karlsruhe Higher Regional Court, there is no ruling of the highest German court (Federal Constitutional Court) on this issue. - The defendant has to suffer from a severe medical condition. - This medical condition or its symptoms cannot or not sufficiently be treated by available therapeutic possibilities. - The use of cannabis products is indeed alleviating the symptoms. In a ruling of 4 April 2006 the Federal Social Court (File number: B 1 KR 7/05 R) implemented a jurisdiction of the Federal Constitutional Court of 6 December 2005. Accordingly, in the case of life-threatening or usually fatal disease the health insurances have to pay for a treatment that is not generally accepted in Germany if no alternative treatment options exist and "if there is not too far a prospect of positive influence of the disease process." In the concrete case a medical drug against cancer caused severe side-effects in a patient, so that the physicians administered a drug that was approved in Canada. On 27 March 2007 this ruling was implemented by the Federal Social Court to dronabinol (File number: B 1 KR 30/06 R). The court dismissed the action of a patient suffering from pain due to spinal cord injury against his health insurance, which refused to pay for his treatment with the cannabinoid. The judges stated that dronabinol is not approved in Germany and that the plaintiff did not suffer from a life-threatening or usually fatal disease. The possession of cannabis even for medical uses is illegal in Germany. However, the possession of small amounts of cannabis (depending on the Land usually not more than between 6 and 10 grams of cannabis) usually results in an abandonment of a criminal procedure due to "low guilt" (German Narcotics Law). A second offender may be convicted to pay a fine, especially if the prosecutor and judge have got the impression that the offender is a regular user of cannabis. The possession of more than 7.5 grams of THC is a felony, which results in a prison sentence of not less than 1 year. First offenders usually get the prison sentence on probation. The amount of THC present in the seized cannabis can only be determined after chemical analysis. For example, 100 grams of marijuana with a THC concentration of 10 per cent contain 10 grams THC. If prosecutor and judge are convinced that the accused uses cannabis for medicinal purposes, a criminal procedure due to "low guilt" is often abandoned with the possession of higher amounts of cannabis than 6 to 7 grams. In some cases medical users received an abandonment of a criminal procedure with amounts of more than 50 grams of cannabis or had to pay a fine lower than usually expected for a recreational user. A second offender will usually be convicted even if he uses cannabis for medical reasons. In recent years several patients had to serve a prison sentence of usually 6 to 12 months due to a felony (possession of more than 7.5 grams of THC). In the year 2003, the first patient accused for the possession of cannabis was acquitted on the grounds of a state of emergency by the local court of Mannheim. Since the prosecutor appealed the ruling, it had to be confirmed by the regional court and finally was reappraised by the Higher Regional Court of Karlsruhe on 24 June 2004 (File number: 3 Ss 187/03), resulting in a final acquittal in 2005. Since then several other patients have been acquitted due to a state of emergency by other courts (less than 10). In 2007 first patients received a formal approval from the BfArM (Federal Institute for Pharmaceuticals and Medical Products) to use a cannabis extract or cannabis flowers, following a ruling of the Federal Administrative Court of 19 May 2005. The cannabis flowers are imported from the Netherlands. Patient get this extract or the herbal cannabis from a pharmacy of their choice. They are not covered by the health insurances. The price of the cannabis extract is about the half of that of dronabinol and the cannabis flowers cost about 15 Euros per gram. So far, about 30 patients have received an exemption from the BfArM to use cannabis. Dronabinol that is available in German pharmacies may be imported from the US as Marinol® or prepared in the pharmacies from dronabinol supplied by two German companies (THC Pharm, Bionorica Ethics). Marinol® is available as capsules (containing 2.5, 5, or 10 mg dronabinol). From the raw dronabinol supplied by the two companies, pharmacies can prepare capsules and solutions (oily or alcoholic). Alcoholic solutions of dronabinol cannot only be used orally but also be inhaled by using a vaporizer. One milligram of dronabinol from the two German companies costs about 0.80 EUR to the patient resulting in monthly costs of about 250 to 500 EUR (with daily doses of 10 to 20 mg). One milligram of Marinol® costs about 3 to 5 EUR depending on packaging size. According to a report by the WHO (World Health Organization) about 7.5 kg of dronabinol are delivered by German pharmacies per year. Cannabis befindet sich in Anlage I des Betäubungsmittelgesetzes von Substanzen, die nicht verkehrs- und nicht verschreibungsfähig sind. Zu den Substanzen, die sich in der Anlage I befinden, zählen unter anderem Cannabis, Meskalin, Heroin, LSD (Lysergsäurediäthylamid), Methoxyamphetamin, PCP (Phencyclidin) und Psilocybin. Substanzen der Anlage I können nur zu "wissenschaftlichen oder anderen im öffentlichen Interesse liegenden Zwecken" verwendet werden. Auf der Grundlage dieses Wortlauts des Betäubungsmittelgesetzes haben einige Patienten vom BfArM (Bundesinstitut für Arzneimittel und Medizinprodukte), eine Behörde unter Aufsicht des Bundesgesundheitsministeriums, eine Ausnahmegenehmigung für die medizinische Verwendung von Cannabis erhalten. Die erste Ausnahmegenehmigung wurde einem Multiple-Sklerose-Patienten im August 2007 gewährt. Die Cannabinoide Nabilon und Dronabinol sind in der Anlage III des Betäubungsmittelgesetzes von Substanzen, die auf einem speziellen Rezept, dem Betäubungsmittelrezept, verschrieben werden dürfen, aufgelistet. Seit 1983 ist Nabilon, ein synthetischer Abkömmling von THC, und seit 1998 ist der Cannabisbestandteil Dronabinol in der Anlage III aufgelistet. Dronabinol ist der internationale Freinahme für das natürliche (-)-trans-Delta-9-Tetrahydrocannabinol (Delta-9-THC). Nabilon und Dronabinol sind in Deutschland nicht arzneimittelrechtlich zugelassen, sodass Krankenkassen im Allgemeinen nicht verpflichtet sind, die Kosten einer Therapie zu erstatten. Es gibt einige Urteile, die die Möglichkeiten zur medizinischen Verwendung von Cannabis oder Cannabinoiden in Deutschland erheblich beeinflusst haben. Im Dezember 1999 hatten acht Patienten eine Verfassungsbeschwerde beim Bundesverfassungsgericht eingereicht und um die Erlaubnis zur Verwendung von sonst illegalem Cannabis gebeten. Das Gericht nahm die Beschwerden nicht zur Entscheidung an und wies in einem Beschluss vom 20. Januar 2000 (Az. 2 BvR 2382/99) darauf hin, dass die Antragsteller den Rechtsweg nicht ausgeschöpft hätten. Sie hätten zuvor Anträge auf eine Ausnahmegenehmigung beim BfArM (Bundesinstitut für Arzneimittel und Medizinprodukte) stellen können. Das Betäubungsmittelgesetz erlaubt die Verwendung von Substanzen in Anlage I nur zu "wissenschaftlichen oder anderen im öffentlichen Interesse liegenden Zwecken". In ihrem Beschluss schreiben die Bundesverfassungsrichter: "Die medizinische Versorgung der Bevölkerung ist danach auch ein öffentlicher Zweck, der im Einzelfall die Erteilung einer Erlaubnis (...) rechtfertigen kann." Nach dem Beschluss des Bundesverfassungsgerichts vom 20. Januar 2000 hatten viele Patienten Anträge auf eine Erlaubnis zur Behandlung ihrer Erkrankung mit Cannabis gestellt, die jedoch sämtlich vom BfArM (Bundesinstitut für Arzneimittel und Medizinprodukte) mit der Begründung abgelehnt worden waren, die Behandlung eines einzelnen Patienten sei kein wissenschaftlicher Zweck und auch kein anderer im öffentlichen Interesse liegender Zweck. Eine Anzahl von Patienten hatten dann vor den Verwaltungsgerichten gegen diese Ablehnungen geklagt. In einem Urteil vom 19. Mai 2005, das im November 2005 bekannt wurde, weist das Bundesverwaltungsgericht darauf hin, dass das BfArM Anträge auf die medizinische Verwendung von Cannabis nicht pauschal ablehnen kann (Az. BVerwG 3 C 17.04). Das Urteil erging im Fall eines Rechtsanwalts, der unter multipler Sklerose leidet. In seiner Begründung für das Urteil schreibt das Bundesverwaltungsgericht: "Die medizinische Versorgung der Bevölkerung ist kein globaler Akt, der sich auf eine Masse nicht unterscheidbarer Personen bezieht. Sie realisiert sich vielmehr stets durch die Versorgung einzelner Individuen, die ihrer bedürfen." Das Bundesverwaltungsgericht betont in seinem Urteil den hohen Wert des im Grundgesetz verankerten Rechts auf Leben und körperliche Unversehrtheit. Es schreibt: "In das Recht auf körperliche Unversehrtheit kann nicht nur dadurch eingegriffen werden, dass staatliche Organe selbst eine Körperverletzung vornehmen oder durch ihr Handeln Schmerzen zufügen. Der Schutzbereich des Grundrechts ist vielmehr auch berührt, wenn der Staat Maßnahmen ergreift, die verhindern, dass eine Krankheit geheilt oder wenigstens gemildert werden kann und wenn dadurch körperliche Leiden ohne Not fortgesetzt und aufrechterhalten werden." Ärzte dürften zwar keinen Cannabis verschreiben. Dies hindere "sie aber nicht, einen Patienten medizinisch zu betreuen und zu begleiten, der auf der Grundlage einer Erlaubnis nach § 3 Abs. 2 BtMG solche Mittel im Rahmen der Schmerztherapie bei sich anwendet." Auf das Argument, Patienten könnten sich auch vom Arzt Dronabinol verschreiben lassen, auch wenn dieses teuer sei und von den Krankenkassen nicht immer erstattet werde, entgegnet das Bundesverwaltungsgericht: "Der Verweis auf ein Arzneimittel, das weder ohne weiteres verfügbar noch für den normalen Bürger erschwinglich ist, stellt aber keine Alternative dar, die das öffentliche Interesse am Einsatz von Cannabis zur Krankheitsbekämpfung entfallen lässt." Ein Urteil des Oberlandesgerichts Karlsruhe vom 24. Juni 2004 stellt die höchste richterliche Entscheidung hinsichtlich der illegalen Verwendung von Cannabis zu medizinischen Zwecken dar (Az. 3 Ss 187/03). Das Urteil erging im Fall eines Multiple-Sklerose-Patienten, der wegen des illegalen Besitzes von Cannabis angeklagt und von zwei niedrigeren Gerichten freigesprochen worden war. Da der Staatsanwalt gegen das Urteil des Oberverwaltungsgerichts Karlsruhe keine Berufung einlegte, gibt es kein Urteil des Bundesverfassungsgerichts zu diesem Thema. - Es muss eine schwere Erkrankung vorliegen. - Diese Erkrankung oder Symptome dieser Erkrankung sind mit den zur Verfügung stehenden therapeutischen Möglichkeiten nicht oder nicht ausreichend behandelbar. - Die Verwendung von Cannabis-Produkten muss die Krankheitssymptome tatsächlich lindern. In einem Urteil vom 4. April 2006 setzte das Bundessozialgericht (Az. B 1 KR 7/05 R) ein Urteil des Bundesverfassungsgerichts vom 6. Dezember 2005 um. Danach haben Krankenkassen die Kosten für eine Behandlung, die in Deutschland nicht allgemein akzeptiert ist, zu übernehmen, wenn im Fall einer lebensbedrohlichen oder im Allgemeinen tödlich verlaufenden Erkrankung keine alternativen Behandlungsoptionen bestehen und wenn eine "nicht ganz fern liegende Aussicht auf eine positive Einwirkung auf den Krankheitsverlauf" besteht. Im konkreten Fall verursachte ein Medikament gegen Krebs bei einer Patientin starke Nebenwirkungen, so dass die Ärzte auf ein Medikament zurückgriffen, das in Kanada zugelassen war. Am 27. März 2007 wurde dieses Urteil vom Bundessozialgericht auf Dronabinol angewendet (Az. B 1 KR 30/06 R). Das Gericht wies die Klage eines Patienten, der an Schmerzen aufgrund einer Querschnittslähmung litt, gegen seine Krankenkasse ab, die sich geweigert hatte, eine Behandlung mit dem Cannabinoid zu bezahlen. Die Richter stellten fest, dass Dronabinol in Deutschland nicht zugelassen ist, und dass der Kläger nicht an einer lebensbedrohlichen oder im Allgemeinen tödlichen Erkrankung leide. Der Besitz von Cannabis ist selbst für medizinische Zwecke in Deutschland illegal. Allerdings wird beim Besitz geringer Cannabismengen (je nach Bundesland im Allgemeinen nicht mehr als zwischen 6 und 10 Gramm) das Strafverfahren meistens wegen "geringer Schuld" (Betäubungsmittelgesetz) eingestellt. Im Wiederholungsfall kann eine Geldstrafe erfolgen, insbesondere wenn Staatsanwalt und Richter den Eindruck gewonnen haben, dass der Täter ein gewohnheitsmäßiger Cannabiskonsument ist. Beim Besitz von mehr als 7,5 Gramm THC liegt ein Verbrechen vor, das zu einer Gefängnisstrafe von nicht weniger als einem Jahr führt. Ersttäter erhalten im Allgemeinen eine Bewährungsstrafe. Die THC-Menge in dem beschlagnahmten Cannabis kann erst nach einer chemischen Analyse bestimmt werden. Beispielsweise enthalten 100 Gramm Cannabis mit einer THC-Konzentration von 10 Prozent 10 Gramm THC. Wenn Staatsanwalt und Richter den Eindruck haben, dass der Angeklagte Cannabis aus medizinischen Gründen nimmt, wird ein Strafverfahren wegen "geringer Schuld" auch bei höheren Cannabismengen eingestellt als bei 6 bis 10 Gramm. In einigen Fällen wurde das Strafverfahren bei medizinischen Konsumenten bei Mengen über 50 Gramm Cannabis eingestellt, oder sie erhielten eine Geldstrafe, die geringer als bei Freizeitkonsumenten üblich ausfiel. Ein Wiederholungstäter wird im Allgemeinen verurteilt, auch wenn er Cannabis aus medizinischen Gründen verwendet. In den vergangenen Jahren mussten einige Patienten wegen eines Verbrechens (Besitz von mehr als 7,5 Gramm THC) Gefängnisstrafen zwischen 6 und 12 Monaten abbüßen. Im Jahr 2003 wurde ein erster Patient, der wegen des Besitzes von Cannabis angeklagt worden war, vom Amtsgericht Mannheim wegen des Vorliegens eines rechtfertigenden Notstands freigesprochen. Da der Staatsanwalt in Berufung ging, musste das Urteil vom Landgericht bestätigt und vom Oberlandesgericht Karlsruhe am 24. Juni 2004 (Az. : 3 Ss 187/03) überprüft werden. Ein rechtskräftiger Freispruch wurde schließlich 2005 erzielt. Seither haben einige weitere Patienten wegen des Vorliegens eines rechtfertigenden Notstands durch andere Gerichte Freisprüche erwirkt (weniger als 10 Patienten). Im Jahr 2007 erhielten erste Patienten eine formale Erlaubnis vom BfArM (Bundesinstitut für Arzneimittel und Medizinprodukte) zur Verwendung eines Cannabisextrakts oder von Cannabisblüten. Diese Erlaubnisse folgten auf ein Urteil des Bundesverwaltungsgerichts vom 19. Mai 2005. Die Cannabisblüten werden aus den Niederlanden importiert. Die Patienten erhalten diesen Erxtrakt oder den pflanzlichen Cannabis von einer Apotheke ihrer Wahl. Sie werden nicht von den Krankenkassen erstattet; der Preis für den Extrakt liegt etwa bei der Hälfte des Preises von Dronabinol. Der Preis der Cannabisblüten beträgt etwa 15 Euro pro Gramm. Bisher haben etwa 30 Patienten eine Ausnahmegenehmigung vom BfArM erhalten, um Cannabis verwenden zu dürfen. Dronabinol, das in deutschen Apotheken erhältlich ist, kann aus den USA als Marinol® importiert oder von Apothekern, die Dronabinol, das von zwei deutschen Firmen (THC Pharm, Bionorica Ethics) geliefert wurde, zubereitet werden. Marinol® ist in Kapselform (mit 2,5, 5 oder 10 mg Dronabinol) erhältlich. Aus dem Rohdronabinol, das von den beiden Firmen geliefert wird, können Apotheken Kapseln und Lösungen (ölig oder alkoholisch) herstellen. Alkoholische Dronabinol-Lösungen können nicht nur oral eingenommen werden, sondern auch mittels eines Verdampfers (Vaporizer) inhaliert werden. Ein Milligramm Dronabinol von den beiden deutschen Firmen kostet Patienten etwa 0,80 EUR, was in monatlichen Kosten von etwa 250 bis 500 EUR resultiert (bei täglichen Dosen von 10 bis 20 mg). Ein Milligramm Marinol® kostet je nach Packungsgröße etwa 3 bis 5 Euro. Nach einem Bericht der WHO (Weltgesundheitsorganisation) wurden von deutschen Apotheken jährlich etwa 7,5 kg Dronabinol abgegeben.